Anyone reading this blog – and following Silver Circle – possesses WISDOM beyond their years. I like to believe I had it, too; however, when I was in my twenties, financial SURVIVAL out-prioritized all else. That is, there were plenty of choices I would have liked to make, but few I was capable of executing. I’m 42 now; so it’s not like I’m an old man. However, I have worked diligently since my first paper route at age 10, making me a 30-year “veteran” of the work force; including 16 years on Wall Street; four in the mining industry; and since last year, Marketing Director of Miles Franklin – one of the nation’s largest bullion dealers. Actually, I write a FREE newsletter five days a week to educate people about the TRUTH behind Precious Metals and financial markets – which can be accessed via our online archive, or by registering to have it emailed daily. In 2002, I began my “TEN YEARS OF HEAVEN AND HELL” by buying my first gold mining stock. I had already sold my last “non-mining” stock in 2000 – at the beginning of the “Tech Wreck” – but felt confident miners would be good investments due to my expectation Precious Metal prices would rise. I was correct about gold and silver prices – and until 2007, mining stocks as well. However, “OFFICIAL MANIPULATION” has all but destroyed mining investors since then; yielding my decision in 2008 to start divesting miners, and buying PHYSICAL gold and silver. Finally, in early 2011, I divested my last mining stock – FOREVER – and went 100% PHYSICAL. I have since slept the “SLEEP OF THE JUST,” escaped the government-manipulated “financial markets,” and helped countless others to do the same via ownership (not “investment”) in PHYSICAL gold and silver. Secondly, I’d tell you to start trading a portion of your savings into such REAL MONEY; recognizing precious metals in your own hands are FAR SAFER than fiat dollars in a – likely insolvent – bank. Finally, I’d tell you to focus on silver. Silver has been a monetary metal as long as gold; going back to ancient times, given the countless mentions of them in the bible. It is derogatorily called “poor man’s gold” because it is cheaper, but that doesn’t make it any less valuable for your invested dollar. 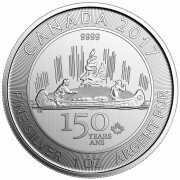 In fact, due to the aforementioned price suppression, silver – the FAR SCARCER of the two metals – is significantly cheaper than gold. It currently trades at less than 1/50 the price of gold, but historically this ratio has been closer to 1/15; and due to said scarcity, I expect this ratio to eventually return – and potentially fall as low as 1/5. 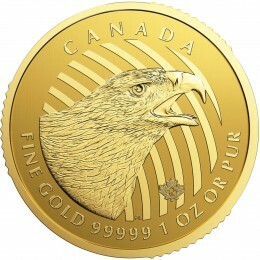 One ounce American Silver Eagles and Canadian Silver Maples are the most popular silver coins, and trade at the highest premiums above the PAPER “spot price” quoted on financial websites. However, “generic rounds” like Silver Buffaloes are also very popular and widely recognized; trading at lower premiums than Eagles and Maples. Above all, I believe you “MUST OWN JUNK SILVER;” that is, pre-1965 dimes, quarters, and half-dollars – all of which contained 90% silver. 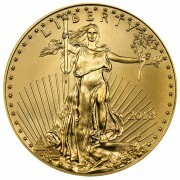 They currently trade at very low premiums to spot prices; but have multiple advantages to other coins. For one, they are the lowest denominated silver coins you can buy – a pre-1965 dime is worth about $3.00 today – making them extremely useful for barter if ever required. Secondly, they are more widely recognized than even Silver Eagles; and finally, if the government ever tried to confiscate Precious Metals (I highly doubt it), it is hard to believe they would confiscate actual American currency. Hopefully, this primer will get you thinking about PROTECTING your earnings with the only asset that has withstood the test of time. 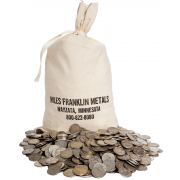 Miles Franklin has been in business for the past 22 years, and our brokers will be happy to answer any of your inquiries regarding Precious Metals purchases. Moreover, if you have any questions about Precious Metal or financial market fundamentals, feel free to email me at ahoffman@milesfranklin.com.